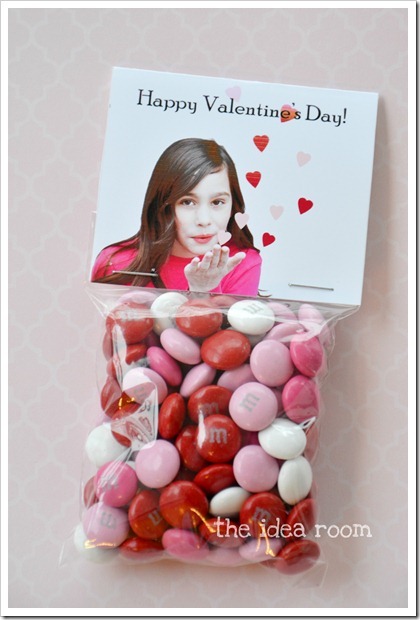 Amy made these fun valentine treat bag toppers that are the perfect combination of this fun valentine photo flip book and these fun photo valentines for kids. Lou La and I have been brainstorming fun treat bag toppers for her valentine goodies and I am going to have to show her this one when she gets home today! You can check out how to make these cute blowing kisses photo valentines over at The Idea Room.